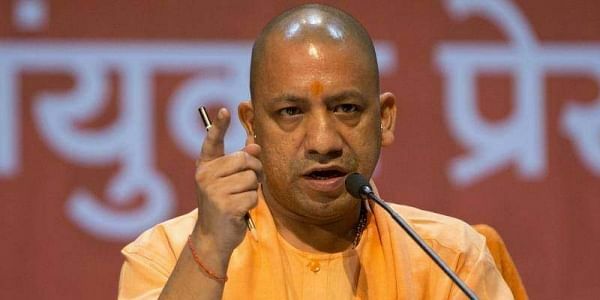 The open endorsement of encounter killings by Uttar Pradesh Chief Minister Yogi Adityanath has caught the attention of the National Human Rights Commission (NHRC). LUCKNOW: The open endorsement of encounter killings by Uttar Pradesh Chief Minister Yogi Adityanath has caught the attention of the National Human Rights Commission (NHRC). The human rights watchdog on Wednesday shot off a notice to the Yogi government asking it to come clear within six weeks on the recent police encounters in the state. A copy of the notice, seeking a detailed report from the government, has been marked to state chief secretary Rajive Kumar. “The NHRC has taken suo motu cognizance of media reports about the Government of Uttar Pradesh, allegedly, endorsing killings in encounters by police seeking improvement in law and order situation in the state,” the human rights body said.“The reported statement of the Chief Minister tantamounts to giving police department a free hand to deal with the criminals at their will and, possibly, it may result in abuse of power by the public servants,” it stated. The commission underlined the fact that the state government had reportedly described the encounters as an achievement and an evidence of improvement in the law and order situation.While campaigning for the municipal election, the CM had last week made such claims while warning that criminals in the state would “either be sent to jail or killed in police encounters”. About 22 listed criminals have been gunned down since the BJP came to power in the state on March 18. Following the NHRC notice, state DGP Sulkhn Singh called a meeting with the top brass of his department on Wednesday evening to deliberate on the possible reply. Additional SP and police spokesman Rahul Srivastava claimed that the NHRC was duly informed about the killings whenever a criminal was gunned down. He also stated that all the details would be shared with the NHRC “after receiving a copy of the notice on Thursday”. He maintained that the encounters took place only in cases where criminals refused to surrender and opened fire on police teams. The figure of 430 encounters, given out by the police authorities in September when the government had completed six months in office, has now gone up to 550. Western UP has seen the highest number of ambushes, with Meerut zone topping the list.